When you purchase a Leafwerx product, quality is not sacrificed for price, but rather premium products that don't break the bank. The farm and the lab's integration allows us to produce the highest quality products at the best value. Our aim is to empower the consumer get out there and do you. Amplify your life. Lil' Blazers - Full flower pre rolls delivered in a convenient, discreet, stylish sliding tin containing (3) .5g Joints. Selective Flower - Limited flower offerings sold in 1 gram pouches or 3.5 gram Jars for the most desirable, curated representations of our core strains and seasonal runs. 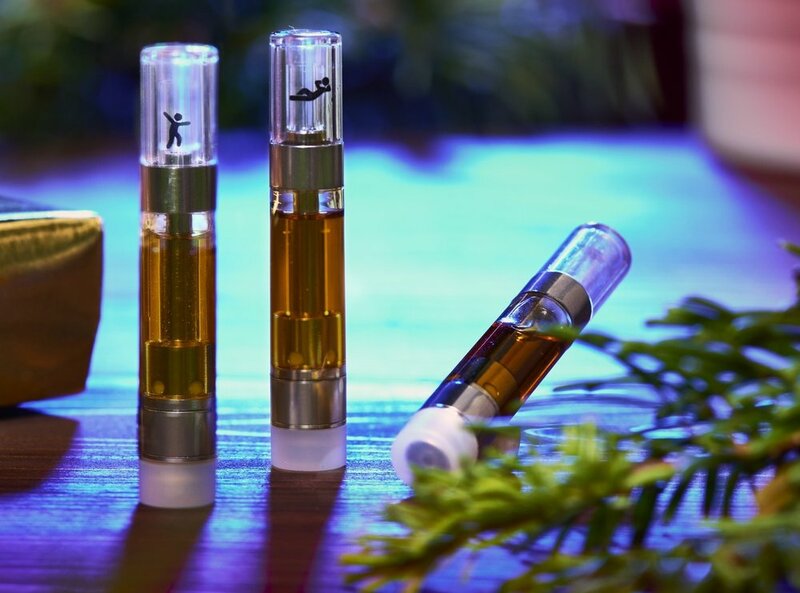 CCELL Cartridges - Signature 1 gram offerings delivered in CCELL technology. Massive clouds of vapor while maintaining the excellent flavor. PAX Pods - Half gram Pax Pods which give the technological control of variable temperature settings down to a single degree. Curate your experience. BRIGHTS - Terpene-rich CO2 extracted dab with a clean and clear high. Solvent-less process. REFINED: Derived from our full spectrum CO2 preservation extraction. True to nature's roots in representing the plant's raw form, it provides a full bodied vapor experience at an unbeatable value. ULTRA-REFINED: Derived from our deconstruction CO2 process with secondary refinement techniques. It provides maximum potency & taste through heightened terpene profiles. Ultra-Refined is purity, potency, consistency, and flavor at its best. PAX ERA PODS: Made for the cuting edge PAX Era vaporizer, the Refined and Ultra-Refined Pods are reliable, discreet, and fully temperature controlled. Our terpene rich CO2 oil in the ERA Pods offer the user elevated consumer choice in taste and intensity. BRIGHTS: Extracted with physical chemistry, our solvent-less process retains the plant terpenes throughout the extraction. Brights are a pure, potent, clean, and terpene-rich dab at an affordable price. LIL' BLAZERS: 0.5g even-burning pre-rolls that are made from terpene-rich full flower. Tasty, potent, and shareable, these joints are the perfect companion to the on the go consumer. Offered as a 3 pack in the signature sliding tin, or as a 2 pack in a tube. HAND SELECTED FLOWER: It all starts here. Our limited run, mixed-light greenhouse flower features forward thinking genetic profiles intentionally cultivated to maximize vivid, distinctive strain traits. Offered in 1 gram Pre-Printed Pouches and 3.5g & 7 gram branded sealed Jars.